In February, Carbon Expert through Casiana Fometescu represented the Italian company AitherCO2 in the tender organized by Electrocentrale Bucharest (ELCEN) for “The acquisition of 1,300,000 greenhouse gas emissions certificates for compliance”, and AitherCO2 was declared the winner of the auction. 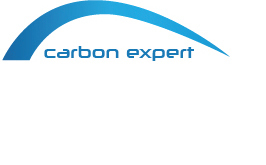 Carbon Expert and AitherCO2 inform you about the most important issues and recent European standards that you need to consider in order to plan the CO2 exposure in the next period and invite you to submit us your trading requests. Starting from 2020, CERs will not be eligible for compliance purposes under EUETS. For companies that enter the EU-ETS starting from 2013, an yearly amount of CERs/ERUs equal to the 4,5% of the verified emission of that year can be converted into EUAs. On Monday, EUAs climbed to a fresh six-year high as bullish sentiment grew after one of the strongest auctions of the year and as EU ministers gathered to discuss carbon price floor options. Ministers from six EU nations met in Brussels on Monday, 05.03.2018 to discuss further initiatives, aimed at bolstering European carbon prices, but stopped short of launching a coalition to form an EU price floor. All this updates are driving a positive trend in market prices for the EUA benchmark contract that is now trading above 10,43 Euro/EUA. For any further questions related to your greenhouse gase emissions needs, please don’t hesitate to contact us.